Import contacts to any source. 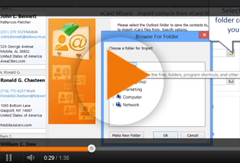 Import contacts to iPhone from any source: vCard (VCF) files, Google Contacts, Gmail, Android and Microsoft Outlook. 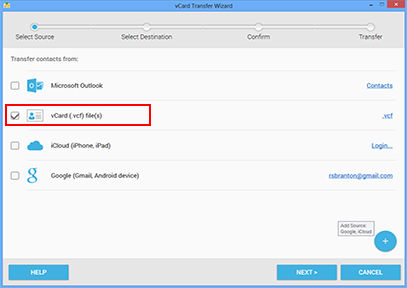 vCard Wizard Contacts Converter Pro Edition is the easiest way to import vCard to iPhone. In just a few seconds, the contacts you have imported from vCard files will appear in your iCloud contacts and connected iPhone devices.